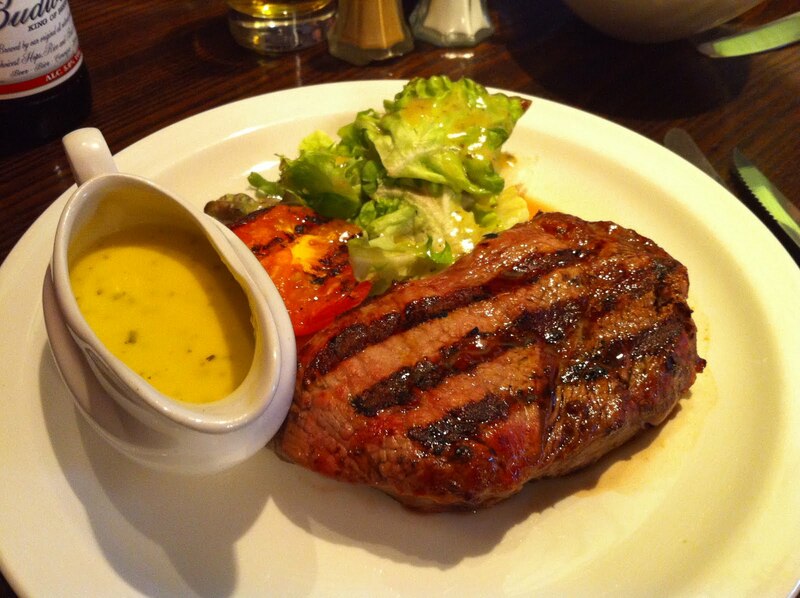 Aberdeen Angus Beef: This meat is known worldwide for quality steaks and Burger King even do the Aberdeen Angus Burger. 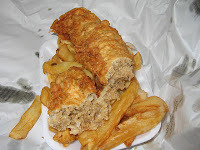 Haggis: This is pretty disgusting but tastes sooo good! 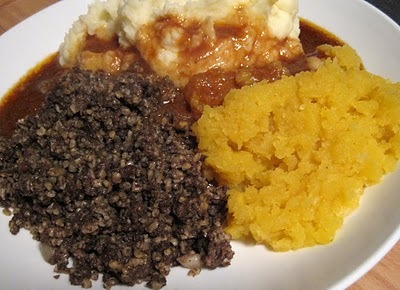 Haggis is made from sheep’s offal (or pluck). The windpipe, lungs, heart and liver of the sheep are boiled and then minced. This is mixed with beef suet and lightly toasted oatmeal. This mixture is placed inside the sheep’s stomach, which is sewn closed. Usually served with “neeps and tatties” which is turnip and potato. 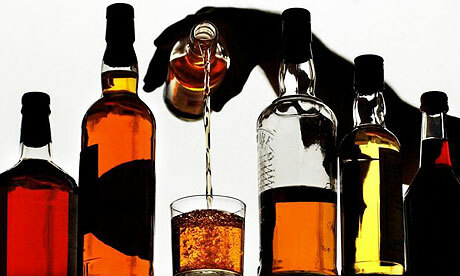 Scotch Whisky: Very popular in India, Japan, USA and the pubs of Bonnie Scotland. This is personally something I never want to see/smell/taste again in my life urghhh. White pudding/Mealie: This is a vegetarian version of haggis as it is made with oatmeal, spices and probably just pure lard. It goes nicely as a stuffing with chicken or battered and with chips. 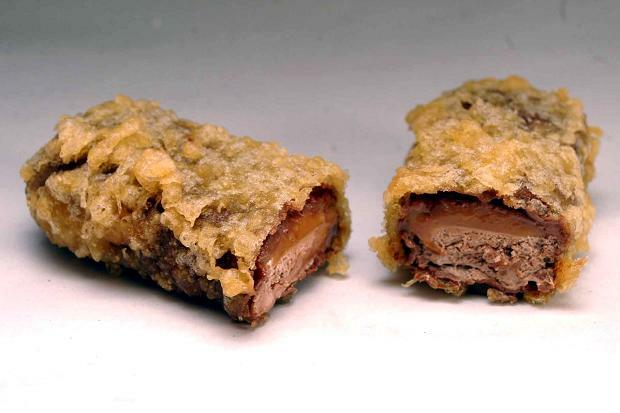 Deep Fried Mars Bar: Yes, you read it right… A Mars Bar thrown in a hot pan of oil to cover it in batter. Highly calorific, pretty disgusting but it was popular for a while. Even deep fried ice cream, go figure. 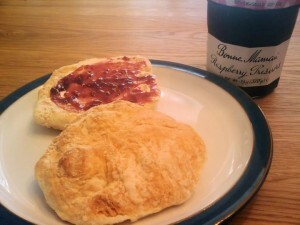 Buttery/Rowie: Yet another highly calorific but very yummy food is the buttery. It has the name buttery for a reason, it’s full of butter. It is kind of like a flattened round croissant but salty. It is delicious toasted with jam on a cold morning. Another famous one is Scottish Tablet and the reason for this post.. It is a fudge like candy which melts in your mouth instead of tough chewing. I was given a gift of an Indian sweet that tasted similar and probably had most of the same ingredients but it just didn’t taste like what I wanted it to so I decided to attempt my own. I found a great recipe here on a Wee Bit of Cooking. Convinced that I had messed it up and ruined it by melting the sugar too quickly I was disheartened but continued to battle through anyway as I was half way there. By the end of the process my arm was aching from 20 minutes of constant stirring and my back hurt from standing so long, next time I will get a seat but once I started stirring I couldn’t stop or it would certainly burn. Thankfully it actually turned out PERFECT! Possibly just a fluke but I don’t care, let me say again PERFECT! I would pay good money here to buy this here as it tasted just the same as the memories of it from home. What is your favorite Scottish food?? Great list! Makes me homesick! Of course for a real treat you need to add stovies served with oatcakes, yum!